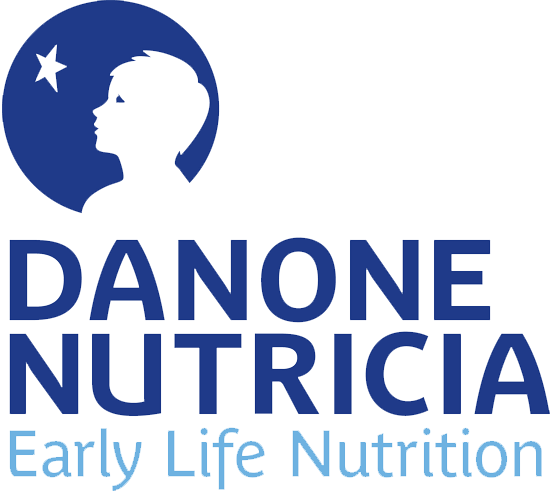 Danone Nutricia Early Life Nutrition‘s priorities are to support mothers and babies to get the right nutrition in the first 1000 days – a critical window of opportunity for lifelong health. 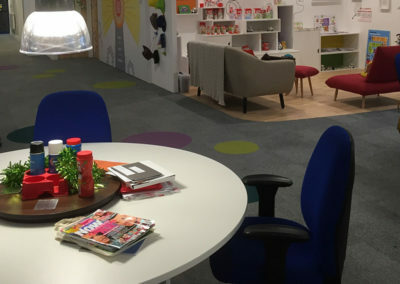 They do this through a range of global brands including Aptamil, Nutrilon and Cow and Gate. 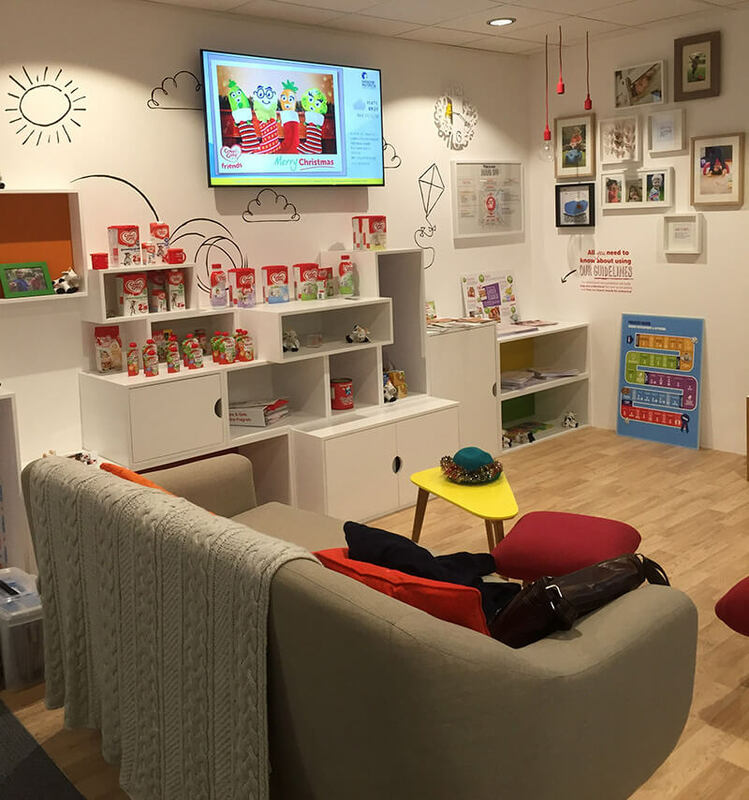 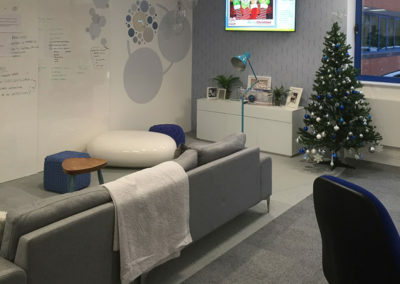 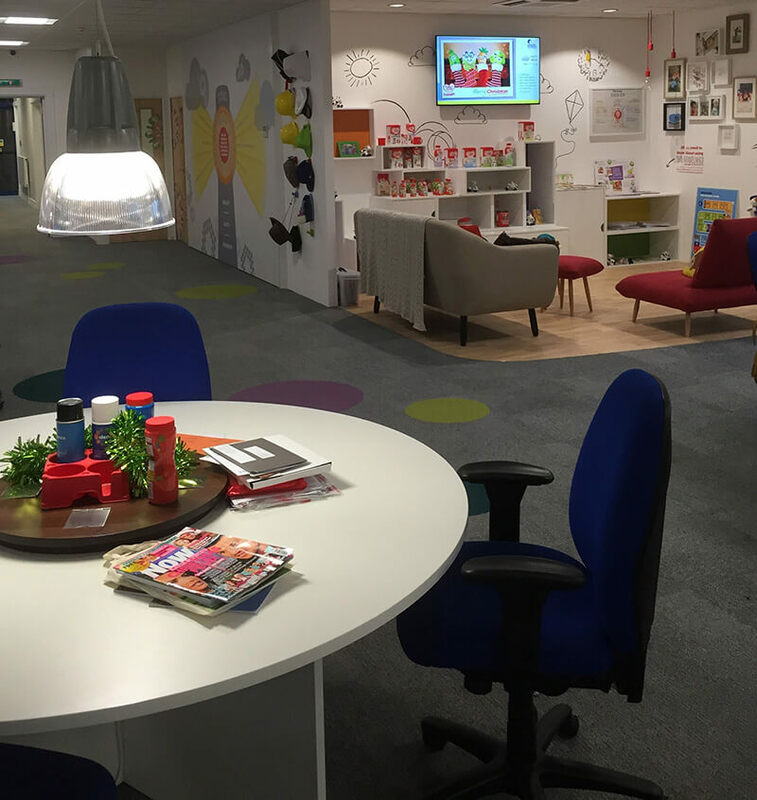 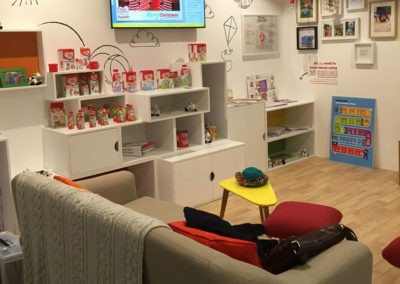 Danone Nutricia Early Life Nutrition were seeking a way to keep their workforce at the Trowbridge, UK office informed about the latest company developments and departmental product information. 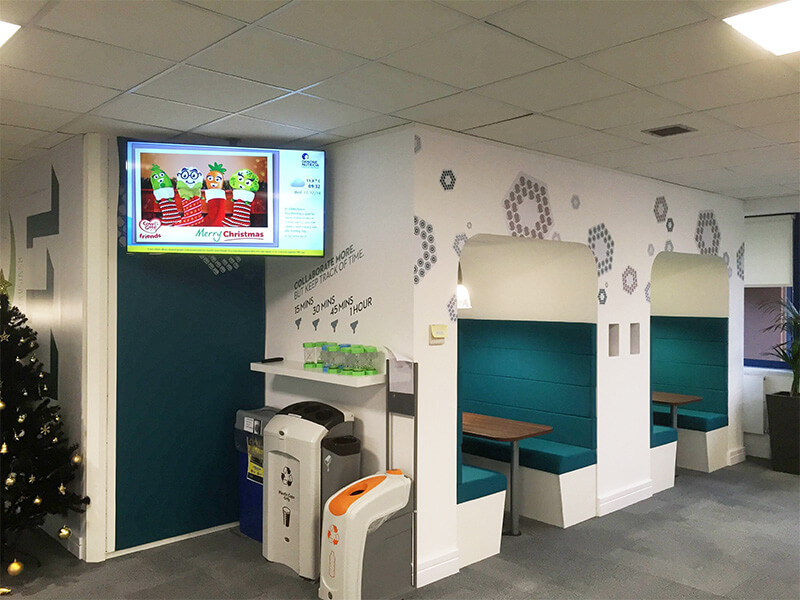 They were seeking a digital signage solution to ensure information was delivered quickly and that content could be separated by department. 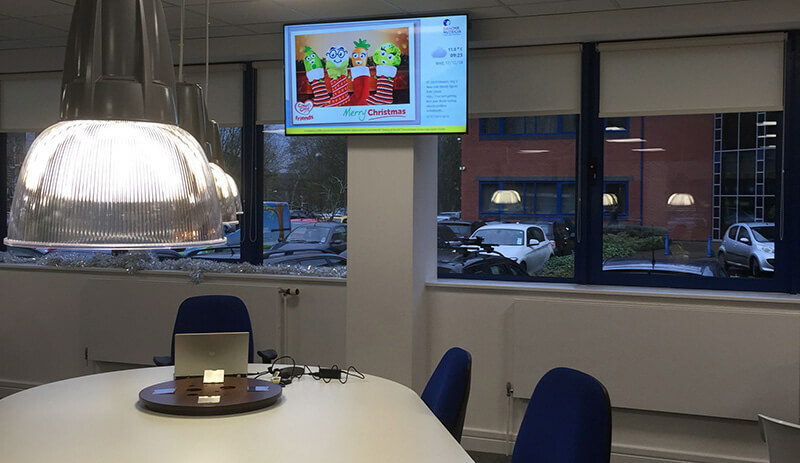 They also wanted to make use of the digital signage displays for meeting presentations. 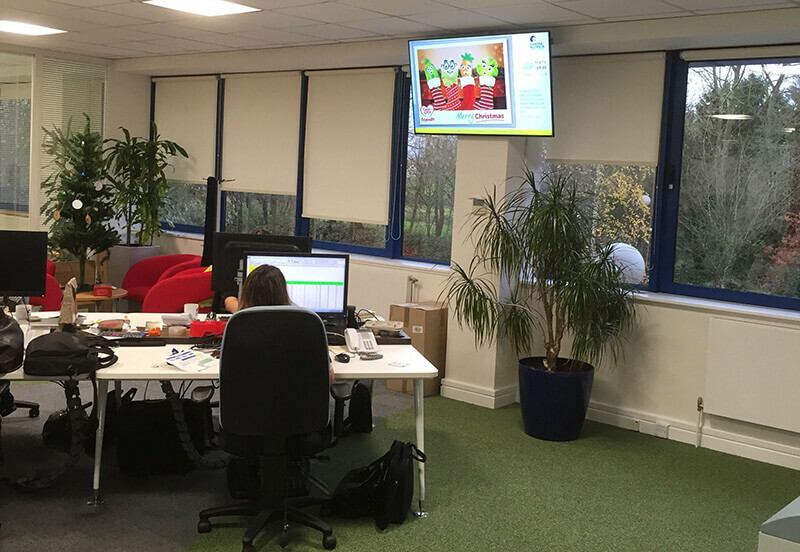 Eclipse Digital provided a selection of 55″ Samsung Smart Signage Platform (SSSP) displays paired with embed signage digital signage software. 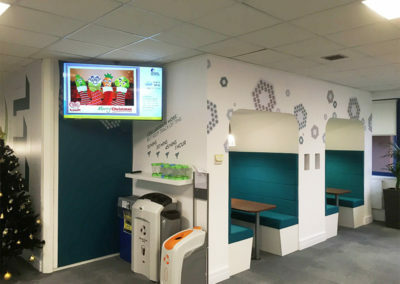 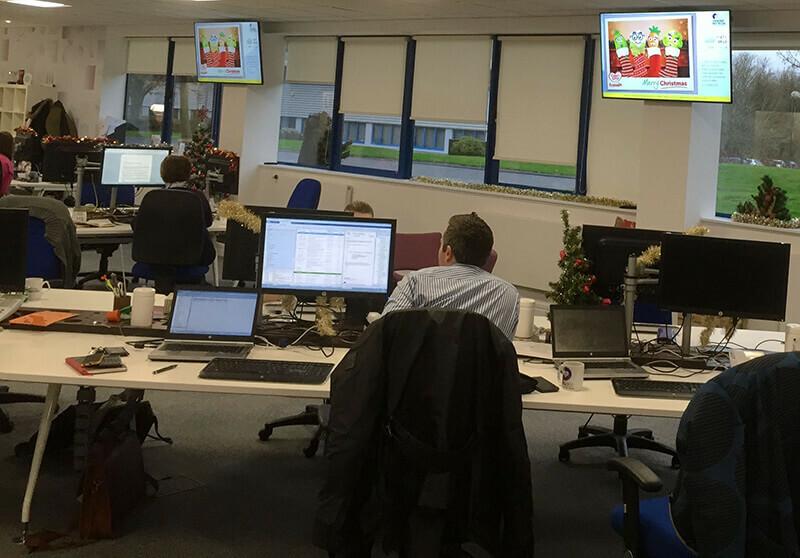 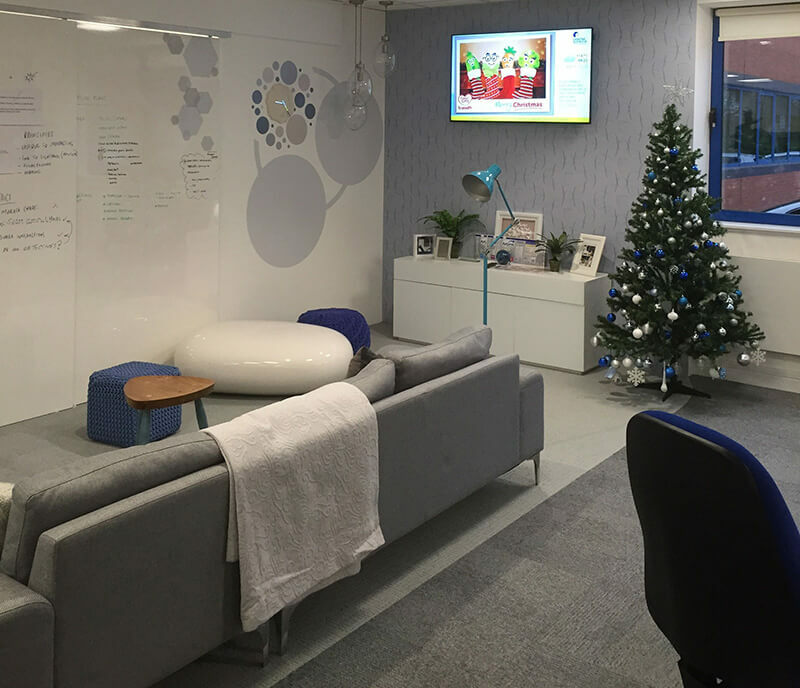 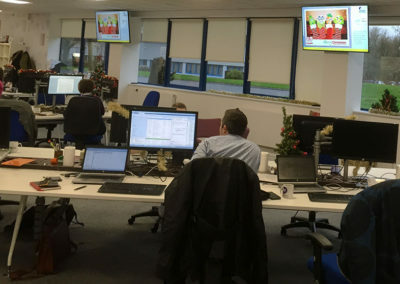 This solution ensured that Danone were able to meet all of their needs for digital signage, presentations for meetings and future proofed the displays for IPTV use in future. 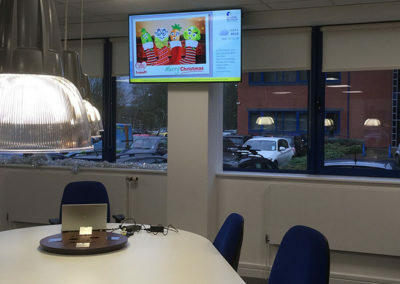 The SSSP displays are configured to run the embed signage software to display various messages and announcements by department and can be quickly set up to show presentation content from staff laptops using the built in Intel WiDi wireless presentation software.